From in-house corporate print production departments to independently owned print shops, we implement innovative solutions that lead to more efficient operations—and improved revenue. And because no single set of solutions works for every organization, every recommendation we make is based on the customer’s needs, not anyone else’s. Here are some examples of the types of issues we’ve solved for our 500+ production print customers. There are a number of solutions that help drive greater revenue, from the latest in printers and multifunction devices to Output Management systems that optimize billing and cost management processes. 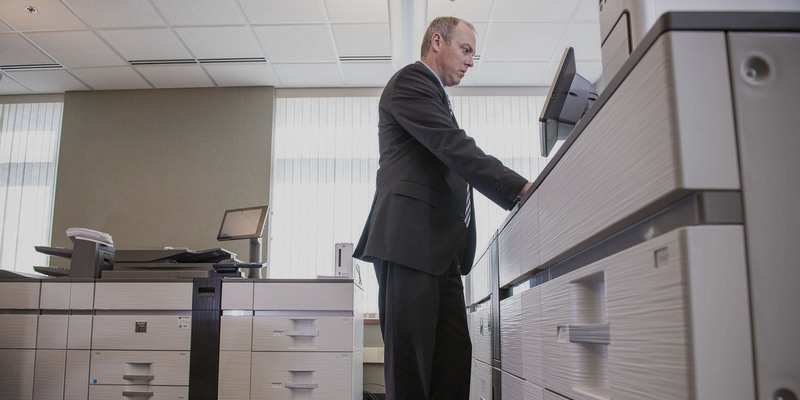 New hardware and software integration technologies help streamline job scheduling, job prioritization, equipment and supplies management, and ensure printer uptime.